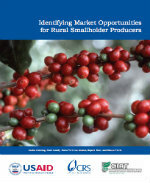 How can market linkages be achieved through comprehensive processes that promote rural agribusiness development? Finding answers to this question is part of our work as a research group that aims to contribute to the reduction of rural poverty by facilitating inclusive businesses with smallholder producers. 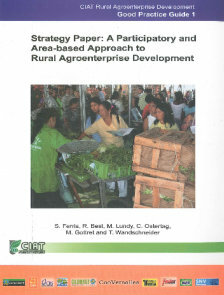 To this end, the Linking Farmers to Markets Research Group (formerly known as Rural Agroenterprise Development Project), has developed various methodological guides and tools to support other institutions such as NGOs, development agencies, governmental institutions or private sector actors that are interested in implementing participatory agribusiness development programmes. In the following documents you can find methodologies, tools and learning approaches that have been developed as a result of numerous collaborative projects in Latin America, Africa and South-East Asia over the past 10 years. The approaches focus on three dimensions: (i) capable producers; (ii) willing buyers; and (iii) the enabling environment. When these factors come together, it is possible to establish trading relationships that are both durable and profitable for farmers and buyers and thus contribute to the reduction of poverty and hunger. The presented methodologies follow the theories of knowledge management to help facilitate a continuous learning experience of the various actors involved in rural development processes. 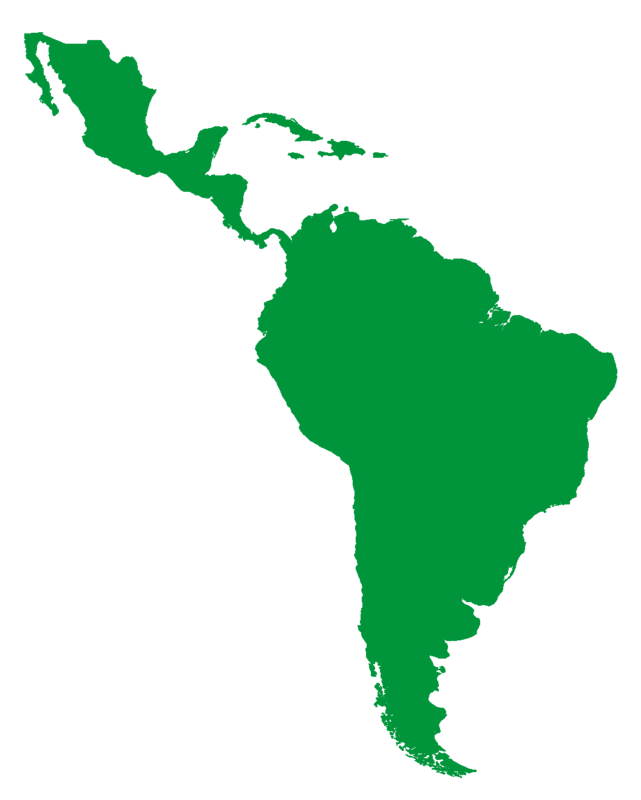 The widely-used LINK Methodology announces an expanded and updated 2.0 version (in English and Spanish), resulting from two years of fieldwork validation and improvement. 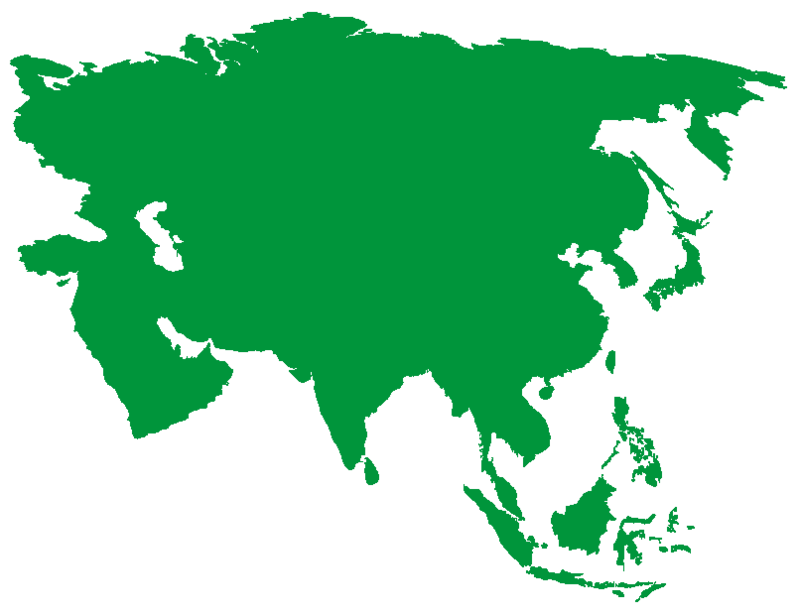 Researchers applied and adjusted LINK’s tools in many different international contexts. 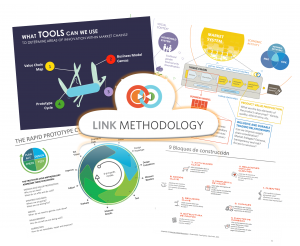 The LINK Methodology comprises four key tools that are designed to kick off, implement and conclude a participative innovation process in the iterative manner of a “design-test-check-act” cycle. 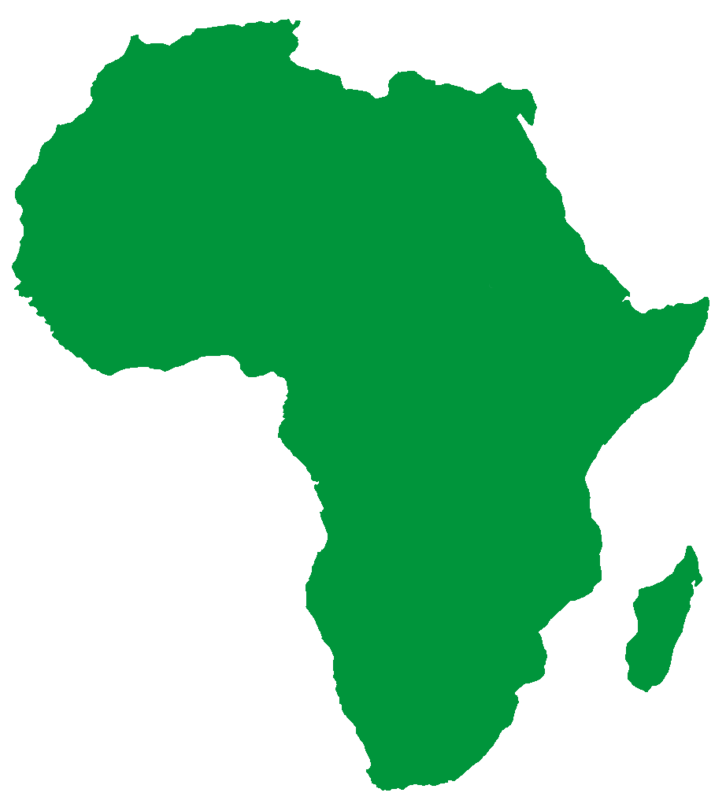 The methodology is highly adaptive and grounded in the growing literature around business models as a design/development tool to augment the effectiveness of business processes to fight poverty. In the 2.0 version, you will find a methodology implemented by research projects in Latin-America (Colombia, Panamá, Ecuador, Nicaragua, Honduras, Peru) and Africa alongside the successful results of more than 40 business models derived from farmer studies. You can also download the first version, available both in English and Spanish. 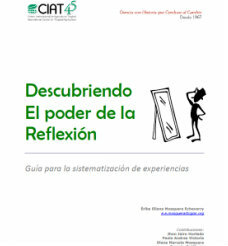 This guide (available in Spanish only) is built around the critical analysis of activities carried out within development intervention, comparing problems and opportunities before the intervention with the results obtained after the intervention and analysing what interventions would be repeated and what interventions would not be repeated and why. 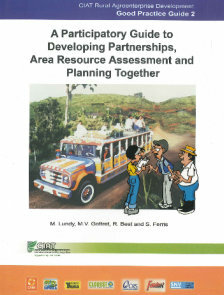 This guide (available in Spanish only) is based on experiences of Colombian and Nicaraguan businessmen who worked as innovation managers in agro industries, value chains and communities, and managed to improve production systems, productive units, product, marketing and even the functioning of organizations. 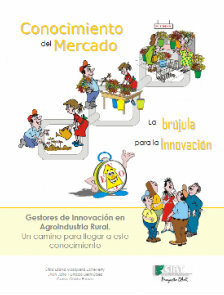 The objective of this guide is to show in a practical, simple and dynamic way, how to implement the key elements of the “Promoters of Innovation for Rural Agro-industry” (GIAR, the Spanish acronym) methodology. 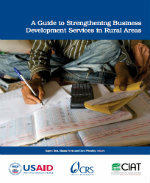 This document (available in English only) provides an overview of CIATs approach to rural agribusiness development. 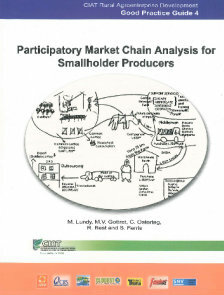 The participatory and area-based or “territorial” approach is made up from a number of methods and tools that have been developed by the Rural Agroenterprise Development Project team and its partners through work in Latin America, Africa and Asia over the past 10 years. 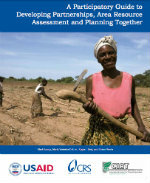 The key elements of this approach include: (1) the development of partnerships, the assessment of existing resources and joint planning; (2) the assessment of market and demand trends, and the identification of market opportunities; (3) the development of business plans for rural agribusinesses and business support services; (4) project evaluation and mechanisms for gradual up-scaling; (5) knowledge sharing mechanisms and change management towards market oriented innovation systems; (6) and recommendations for better marketing and trading polices. 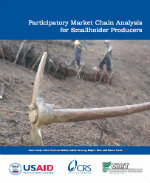 The purpose of this guide (available in English here) is to provide systematic means for selecting and evaluating a territory, to establish a working group to support inter-institutional agribusiness development, to develop client profiles, and to agree upon plans for joint activities in each area. A former Spanish version of this tool can be downloaded here. 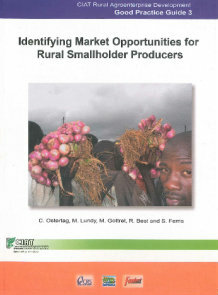 This publication (available in English here) combines market research, product concept evaluation and business analysis techniques within a practical and innovative approach for identifying market opportunities for rural agribusiness development in a defined area or territory. This guide (available in English here) is based on the principles of market-driven development interventions that go beyond individual projects intervention. The purpose of this approach is train service providers (1) to work with a range of representative actors for each link in the chain and (2) to design interventions that bring about systemic changes in the market place. 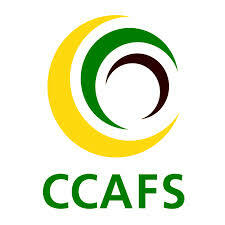 In addition, our team has developed, in collaboration with several partners, various methodological guides and tools with the aim of supporting institutions such as NGOs, development agencies, governmental institutions and private sector actors interested in implementing participatory agribusiness development programs. 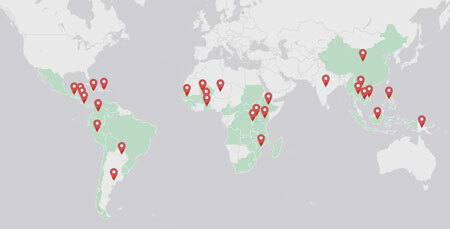 These tools are the result of numerous collaborative projects in Latin America, Africa, and Asia over the past 10 years and, since they are created to facilitate continuous learning by diverse stakeholders in rural development processes, they are tested, adapted and updated on a regular basis. Similarly, other CGIAR Centers have developed methods and best practices for building sustainable, inclusive, and efficient value chains. These tools can be accessed through The Value Chains Knowledge Clearinghouse, a knowledge exchange portal led by the CGIAR Research Program on Policies, Institutions, and Markets (PIM).